Multi-purpose mica powder which is used for diverse applications. For example, in plastics, paint and rubber and molding release, etc. Two types are available; High-performance wet-ground mica and cost-effective dry-ground mica. For Indian products,shipping directly from India to the destination port is possible. 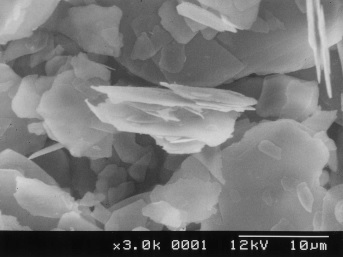 This is a mica powder with high performance that realizes smooth and thin scale-like particles with high aspect ratio using a grinding machine uniquely developed by Yamaguchi Mica Co.,Ltd. It produces effects that the any other makers have never effectuated. Pure Indian muscovite which contains much more fully-grown crystals is used as the material and is processed with our high-level refinement and iron removal methods that guarantee the quality of our products. This grade is ground by a media mill machine, which is suitable for mass production. Pure Indian muscovite which contains much more fully-grown crystals is used as the material and is processed with our high-level refinement and iron removal methods that guarantee the quality of our products. This is generally manufactured at lower cost due to high productivity using simple process comparing the wet-ground mica. We produce items in larger size both in Japan and India for the use of plastics. After finishing with wet-grinding machine, it is further ground with dry-grinding jet mill. Comparing dry-ground one, it is excellent in the performance and quality and contains as few iron as possible. This is suitable for molded products or paint that require good appearance. The number in the tables are representative , not specifications. The average diameter shows average volume diameter analyzed by laser diffractometry. Clicking each product name appears PDF data sheet. Copyright　2012　by YAMAGUCHI MICA CO.,LTD. All rights reserved.